The following steps will walk you through the process from beginning to end for creating your perfect album. Choose the size album you want - DONE! 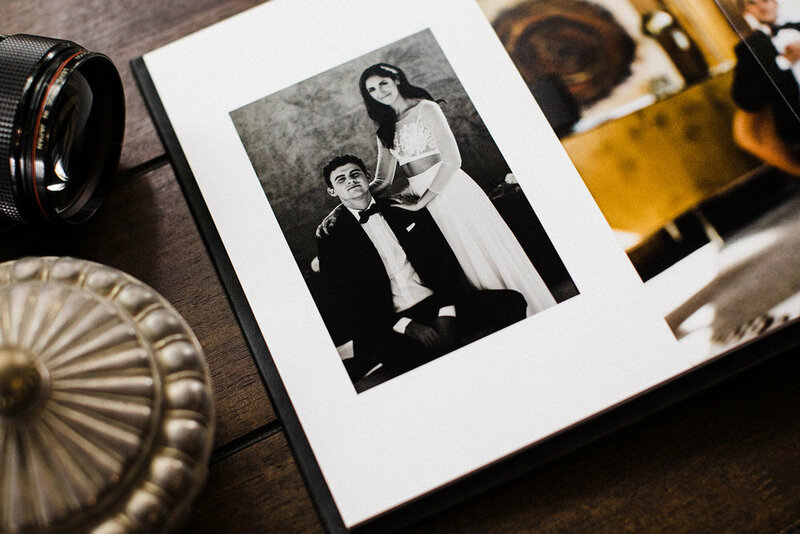 Pick your favorite wedding photos (no more than 70) by going to your wedding gallery and creating a new favorites list. Send me the name of the email address you use so I can see the ones you chose. Choose the cover you want from the options below (material, photo, or photo printed on material). I will begin the design process. Round 1 proof of the entire album will be sent to you to view and make any comments. I'll make final changes to the album. You double check the final design proof and approve for print. Within a few days your coffee table will become the envy of your friends and family. I prefer the feel and look of the vintage leather. The sample I ordered was the charcoal vintage leather. I personally prefer in order from favorite to least favorite: Vintage Leather, Distressed Leather, Suede, Premium Leather, Linen, Faux Leather, Alligator Leather. If you choose Alligator Leather, you truly are a badass. I hope not, but I understand. Give me a call and let’s chat through your options on the phone. I’m hear to help guide you through this entire process. 949.584.2356. Shoot me an email and let me know your final choice for your cover. We’re almost finished!